EDMONTON, June 8, 2018 /CNW/ - Altiplano Metals Inc. (TSXV: APN) (OTCQB: ALTPF) (FWB: 9AJ1) ("APN" or the "Company") is pleased to update progress at the historic Farellon Copper-Gold Mine near La Serena, Chile. CEO John Williamson stated, "We are excited about our progress to date and our prospects for the future. Through professional management of extraction methods and operations, our team has rapidly and continuously improved capacity to the point where we are confident in our ability to consistently meet or exceed extraction rates of 5,000 tonnes per month of Cu-Au mineralized material. In the third quarter of 2018, we anticipate achieving several milestones, including hitting our target for extraction and potentially updating the classification of resources and initiation of work programs on our other projects. With recent additions to management, we will focus our attention on expansion of existing operations and new opportunities to deliver shareholder value." Since December 2017, the Company has extracted a total of 10,585 tonnes of Cu-Fe-Au mineralized vein material from two bulk sampling programs on the 395M and 401M Levels, of which 6,020 tonnes have been shipped for toll milling and 3,655 tonnes remain stockpiled. The Company has received analytical results for 5,489 tonnes of the processed material and awaits analysis for 530 tonnes. Shipment of the remaining stockpiles for immediate processing has commenced. The Company and its contractors have steadily increased productivity over the last 3 months and are on pace to achieve 5,000 tonnes in the coming month. 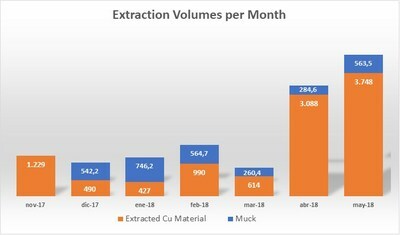 Table 1 shows monthly volumes of Cu-Au material extracted since bulk sampling activities commenced in November of 2017. As announced on April 10, 2018, the Company estimated an inferred mineral resource at Farellon of 278,360 tonnes at an average grade of 1.92% Cu and 0.12 parts per million (ppm) Au at a lower cutoff of 1.0% Cu and utilizing a minimum horizontal width of 1.2 m. The actual average higher-grade vein width from all sampling is 1.84 m. With continued exploration, it is reasonably expected that the majority of the Company's inferred mineral resources at Farellon could be upgraded to indicated mineral resources. Inferred mineral resources are not mineral reserves. Mineral resources which are not mineral reserves do not have demonstrated economic viability. There is no guarantee that any part of the mineral resources discussed herein will be converted into a mineral reserve in the future. Should a production decision be made without completing a feasibility study demonstrating economic and technical viability, there would be increased uncertainty as well as economic and technical risks associated with such production. No production decision has been made at this time. Osbaldo Zamora Vega, Ph.D, P.Geol., Vice President of Exploration for Altiplano, is the Qualified Person as defined in National Instrument 43-101 who has reviewed and approved the technical contents of this press release. Altiplano Metals Inc. (APN: TSX‐V) is a mineral exploration company focused on evaluating and acquiring projects with significant potential for advancement from discovery through to production, in Canada and abroad. Management has a substantial record of success in capitalizing opportunity, overcoming challenges and building shareholder value. Additional information concerning Altiplano can be found on its website at www.altiplanominerals.com.